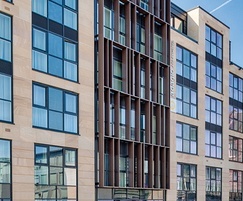 A new Accor Adagio Aparthotel was commissioned as part of the £200m development of Edinburgh’s historic old town. 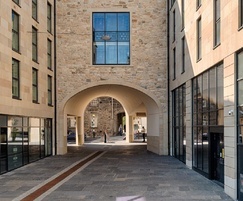 Overlooking the Royal Mile, the exterior facade of the new building had to seamlessly integrate old with new. 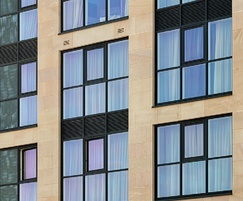 Stanton Moor Permian red sandstone was used to create a contemporary facade that wraps around the building. 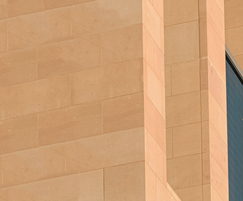 The striking colouration of Stanton Moor sandstone features a buff base with brown and gold variation, matching closely with the materials used in the historic city. 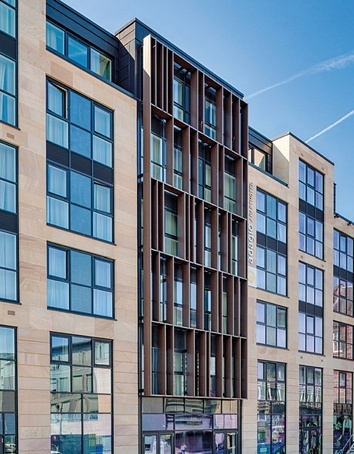 Stanton Moor Permian is red sandstone from the Locharbriggs Quarry in Derbyshire. 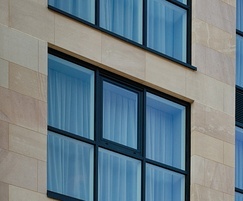 This stone has technical properties that ideal for rainscreen cladding, ashlar and masonry products.